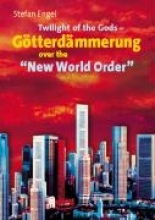 Stefan Engel, Twilight of the Gods - Götterdämmerung over the "New World Order"
For the title of this book, author Stefan Engel employs an allegory from German mythology: in the götterdämmerung, the `twilight of the gods`, the end of the world engulfs the worn-out gods of an antiquated age, and out of the world conflagration grows an admirable new world of peace and full, joyous life. The parallel with the decline of the present ruling stratum of world society and the preparation of a new future well worth living is intended! The book wrests this vision from the realm of mythology and places it on a reliable scientific foundation. It conveys a perspective to all those for whom the götterdämmerung of ruling world finance capital does not signify the end of history but the starting point of a new epoch of the social development of humanity - without hunger, exploitation and war. About the author Stefan Engel is a trained mechanic and works as a free publicist today.He has been politically active since 1968 and has exercised leading functions in the Marxist-Leninist and working-class movement since 1975. Numerous travels and contacts to other countries have helped him gain an intense practical knowledge of international developments. His most important theoretical contributions are contained in the books, The Struggle over the Mode of Thinking in the Working-Class Movement, Neocolonialism and the Changes in the National Liberation Struggle and Class Struggle and the Struggle for the Liberation of Women.